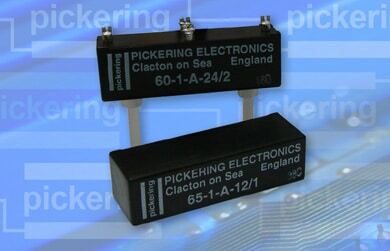 All Pickering Reed Relays feature the highest quality instrumentation grade reed switches making them suitable for the most demanding applications. Featuring vacum reed switches - from 1kV stand-off at 10 Watts switching up to 15kV stand-off at 50 Watts switching. 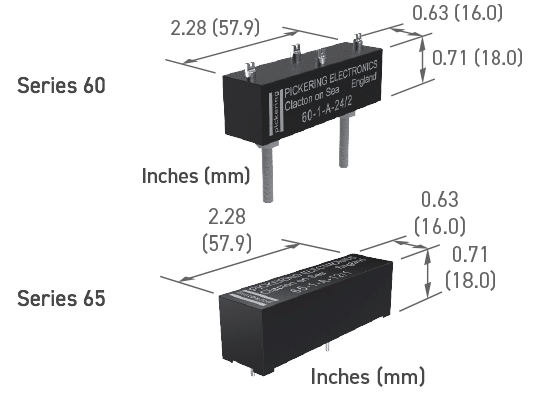 The Series 60 and 65 ranges of high voltage reed relays have been manufactured for many years and remain popular due to their small size and ease of use. They are available for up to 15kV stand-off, 12.5kV switching at 50 Watts maximum. Tungsten plated contacts ensure a long and reliable life.